Help Raise the Roof on a New Indoor Sensory-Sensitive Riding Arena! Our friends at the Therapeutic and Recreational Riding Center, the only in Central Maryland’s Howard County, are ‘Raising the Roof’ on the area’s first indoor therapy arena that will serve a growing number of youth participants with Sensory Processing Disorders (SPDs) such as Autism, ADD/ADHD and others.This new indoor arena is designed to serve a growing number of children and youth seeking alternative therapies and create the first in Maryland with specifically tailored sensory therapeutic interventions by physical, occupational and speech therapists that minimize distractions and environmental stimulations for children with SPDs. Experts agree on the clear benefits of riding for children with SPDs.The indoor arena will have specialized features for therapy students, will be heated in winter and have a sprinkler system for dust control. Finish Line Youth Foundation is a lead sponsor for the event and has offered a challenge matching grant of $75,000 to Raise the Roof on this new arena. 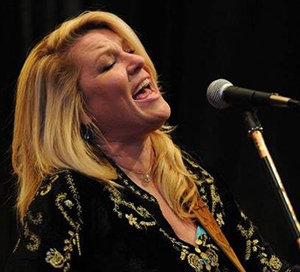 Join us for a lovely and purposeful evening of friends, food and great music by WAMMIE (Washington, DC-area Music) award-winning musician Patty Reese. Meet Special Guest Ben Stevick, World Games Medalist, Special Olympics! Wine samplings from Maryland’s own Elk Run Winery. Suggested attire: Country chic, blue jeans, boots and bling! TRRC is a 501(c)(3) non-profit organization.Tickets to this event are tax-deductible less the expense of $15 per ticket. TRRC is an accredited member of PATH (Professional Association of Therapeutic Horsemanship), Intl. Space is limited so buy your tickets now! To buy tickets via phone or mail, please email Helen Tuel at trrc01@aol.com. For more information, visit http://www.trrcmd.org/. Helen has experience in technology marketing and a passion for content creation and brand messaging. She attended the University of South Carolina where she received her B.S. in Marketing and Management. Outside of work she enjoys volunteering in her community by spending time at the Route 1 Homeless Shelter and helping out at local rescue dog adoption events.